For high school geometry students that are not really "fans" of the geometry subject, it is problems like finding the surface area of a cylinder that often cause kids to shut their text books and give up or find a geometry tutor. But, don't panic just yet. Geometry, like many types of math, is often so much easier to understand when broken down into bite-sized pieces. This geometry tutorial will do just that - break down the equation for finding the surface area of a cylinder into easy to understand portions. Be sure to follow along the cylinder surface area problems and solutions in the Geometry Help Online section below, as well as to try out the Math Made Easy! quiz. Where: r is the radius of the cylinder and h is height of the cylinder. Admittedly, the formula for the surface area of a cylinder isn't too pretty. So, let's try to break the formula apart into understandable pieces. 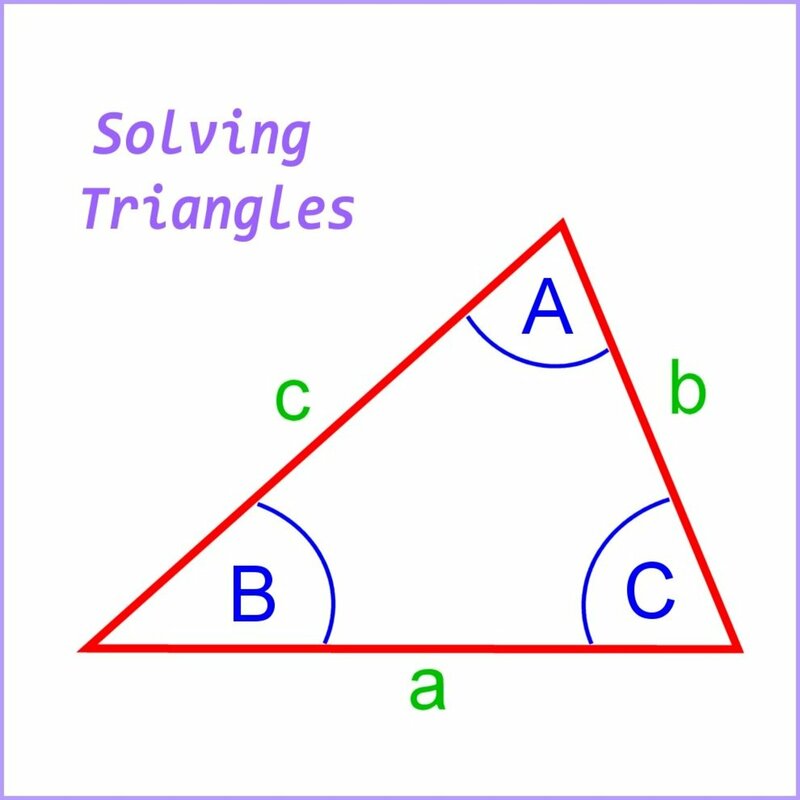 A good math tip is to try to visualize the geometrical shape with an object with which you are already familiar. What objects in your home are cylinders? 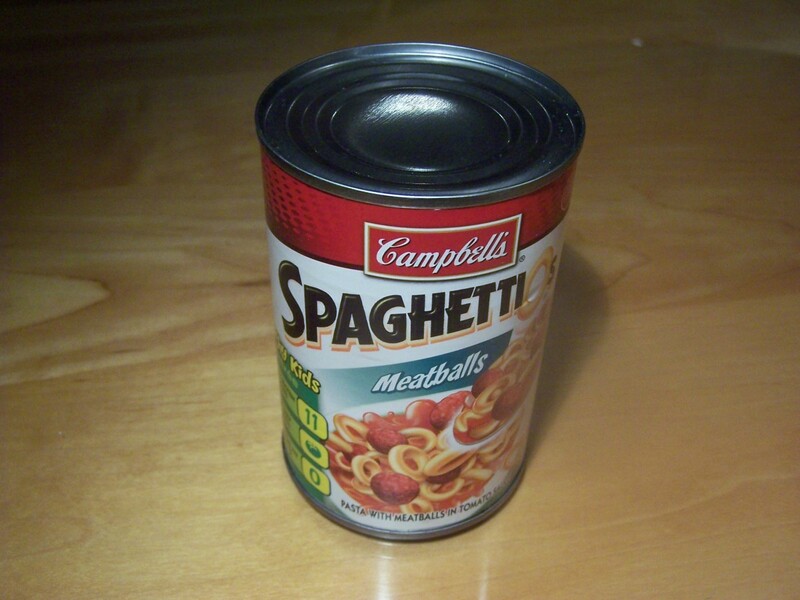 I know in my pantry I have a lot of cylinders - better known as canned goods. Let's examine a can. 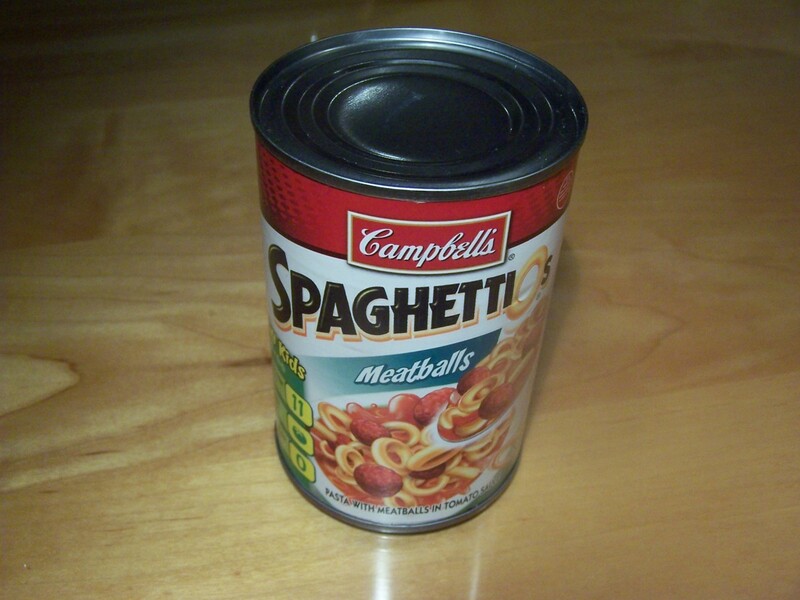 A can is made up of a top and bottom and a side that curves around. If you could unfold the side of a can it would actually be a rectangle. 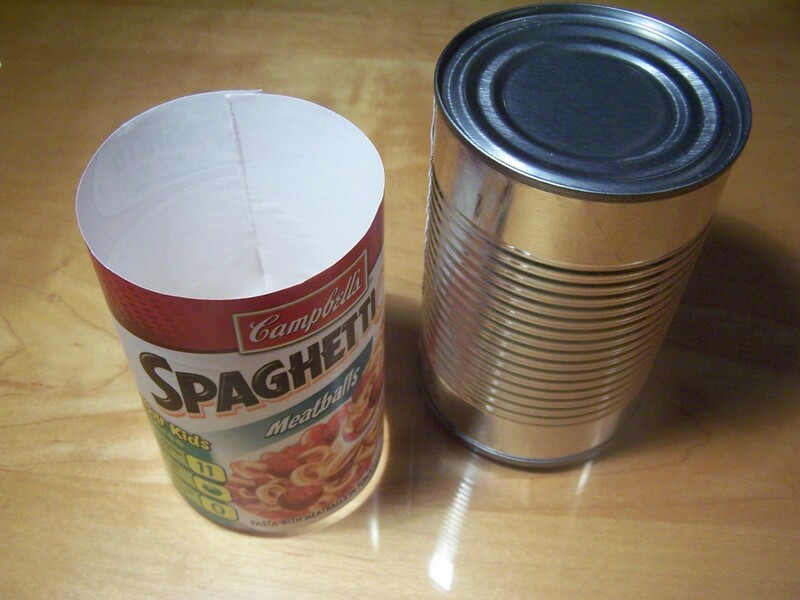 While I am not going to unfold a can, I can easily unfold the label around it and see that it is a rectangle. 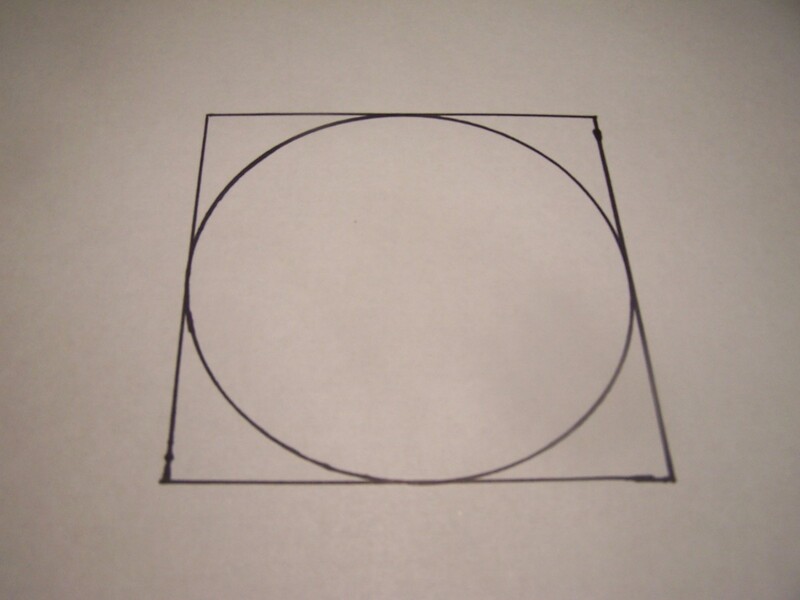 Therefore, in order to calculate the surface area of a cylinder you need to calcuate the area of a circle (twice) and the area of a rectangle (once). Let's look at the total surface area of a cylinder equation again and break it down into easy to understand portions. Portion 1: The first portion of the cylinder equation has to do with the area of the 2 circles (the top and bottom of the can). Since we know that the area of one circle is πr2 then the area of two circles is 2πr2 . So, the first part of the cylinder equation gives us the area of the two circles. 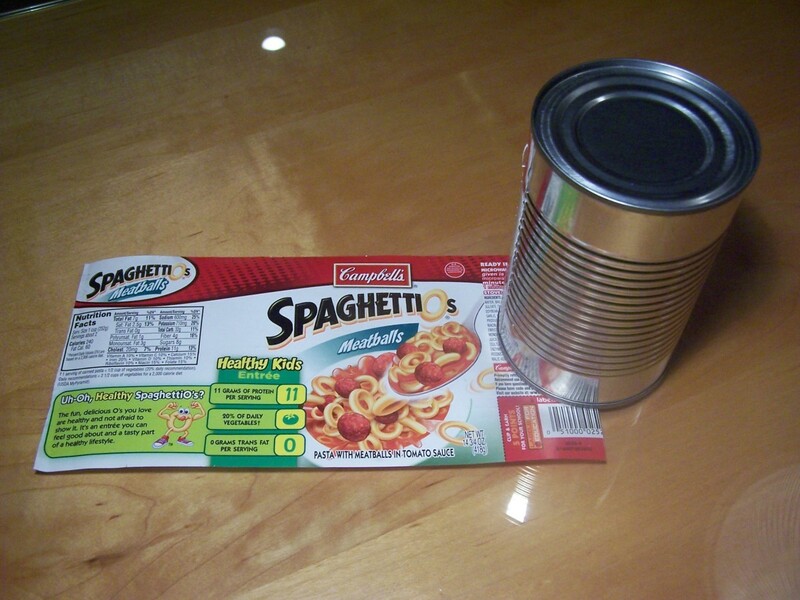 Portion 2: The second portion of the equation gives us the area of the rectangle that curves around the can (the unfolded label in our canned good example).We know that the area of a rectangle is simply its width (w) times its height (h). So why is the width in the second portion of the equation (2πr)(h) written as (2πr)? Again, picture the label. 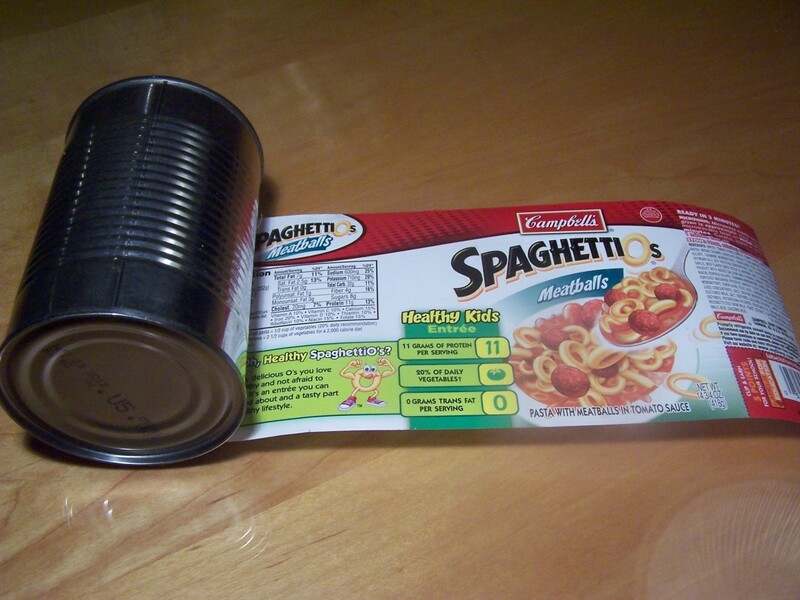 Notice that the width of the rectangle when rolled back around the can is exactly the same thing as the circumference of the can. And the equation for circumference is 2πr. Multiply (2πr) times (h) and you have the area of the rectangle portion of the cylinder. 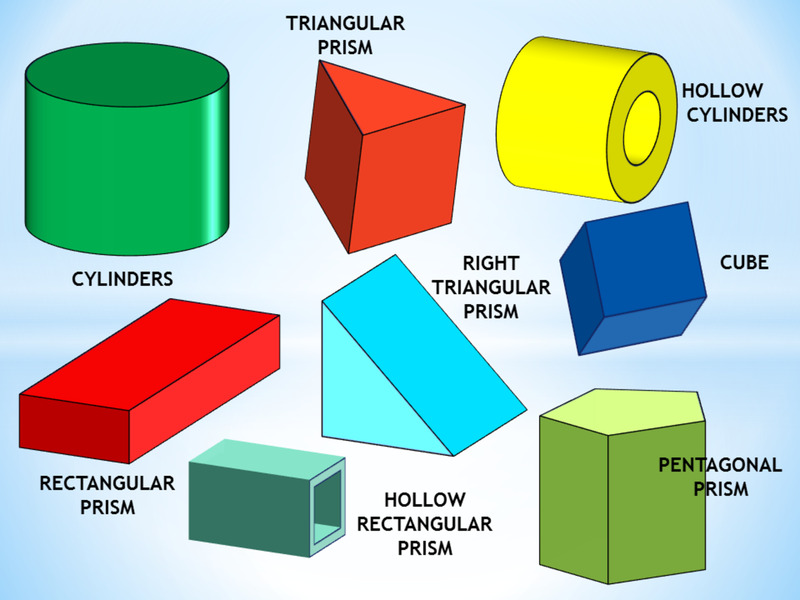 Check out three common types of geometry problems for finding the surface area of a cylinder given various measurements. Problem: Find the total surface area of a cylinder with a radius of 5 cm. and a height of 12 cm. Solution: Since we know r = 5 and h=12 substitute 5 in for r and 12 in for h in the cylinder's surface area equation and solve. Answer: The surface area of a cylinder with a radius of 5 cm. and a height of 12 cm. is 533.8 cm. squared. Problem: What is the total surface area of a cylinder with a diameter of 4 in. and a height of 10 in.? Answer: The surface area of a cylinder with a diameter of 4 in. and a height of 10 in. is 150.72 in. squared. Problem: The area of one end of a cylinder is 28.26 sq. ft. and its height is 10 ft. What is the total surface area of the cylinder? 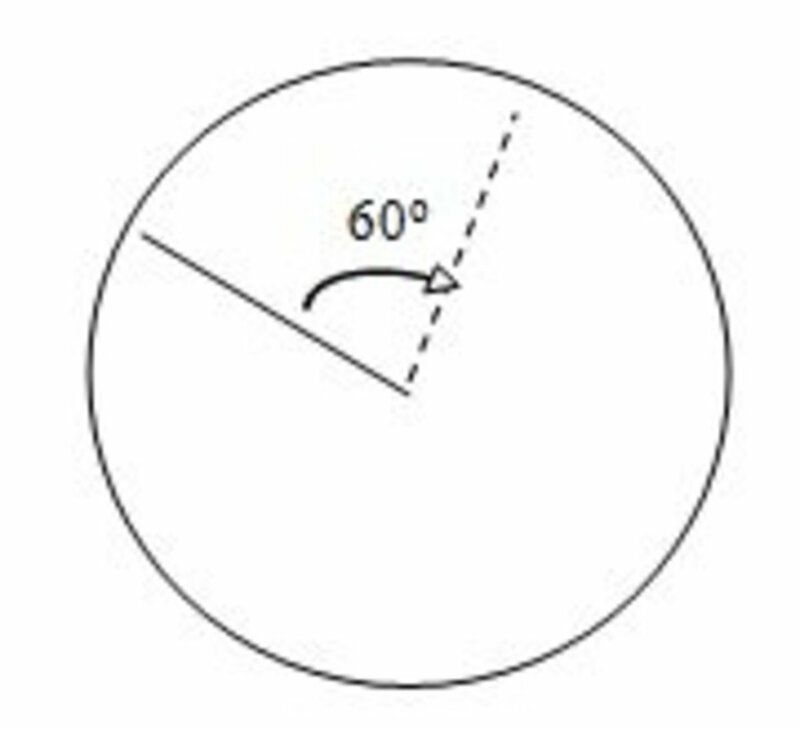 Solution: We know that the area of a circle is πr2 and we know that in our example the area of one end of the cylinder (which is a circle) is 28.26 sq. ft. Therefore, substitute 28.26 for πr2 in the formula for the area of a cylinder. You can also substitute 10 for h since that is given. Answer: The total surface area of a cylinder whose end has an area of 28.26 sq. ft. and a height of 10 is 244.92 sq. ft.
Do you need more geometry help? If you have another specific problem you need help with related to the total surface area of the cylinder please ask in the comment section below. I'll be glad to help out and may even include your problem in the problem/solution section above. Thanks so much Vellur. It's good to know this explanation was easy to follow - that always should be the goal when it comes to math. Thanks again. Very well explained. You have made it very easy. Voted up. B. Leekley - I think you wonder the same things as a lot of math students, "what am I ever going to use this for?" You're right understanding how to figure out what size pizza is the cheapest per slice is a practical application of math. In order to figure out that you would want to divide the price of each pizza size by the area of the circle for each size. That way you would get the cost per square unit. Interesting hub -- I liked the aha of realizing that the sides of a cylinder are a rectangle -- but in what situation would knowing the total surface area of a cylinder be of practical use? What I often wonder is which size pizza is cheapest on a per square unit basis? Teaches12345 - I would have loved to have taught high school geometry, but I am not a certified teacher. I just have always loved math, and often had to find more obvious ways of helping my kids understand some geometry and math concepts than what the textbooks provide. Thanks so much. Homesteadbound - Thanks so much for stopping by again. Now, I am not sure if this was "ingenious" but it is a fun way to learn. I wish I would have had you for geometry in high school. You make it simple to understand, breaking it down and then building the interest and skill. The visuals are so helpful...voted up! Ktrapp - as I stated earlier, this was so ingenious. Great hub! Beth811 - Visualizing math always helped me learn better. I remember years ago pulling a can out of the pantry to show my daughter what her geometry problem was asking and she "got it" easily. I hope it helps other kids (or parents). Thanks for stopping by. Xethonxq - I would've loved to have had the opportunity to tutor kids in math. I mostly just helped my own. Thanks taking the time to comment. Wow, you made the solution easier to understand. I'm impressed with your analogy between the can and the label around it. Well said! Congrats on Hub of the Day! Wow!!! Can you come and tutor my kid? lol :) Thanks for the hub ktrapp!! Thanks everyone for all the very nice comments (except Arlene - haha!). William - I appreciate your suggestion and did add the word "total" so as to distinguish these types of problems from lateral surface area problems. Thanks for taking the time to comment. DzyMsLizzy - I like that idea of giving yourself a "pardon from math." - very funny. I love it when teachers make things fun.....then they automatically become easier to understand. Great job! Congrats on hub of the day. This is a brilliant way to explain a complicated area formula! Very well done explanation, anyway, for those who actually may still be studying the subject. At age 63, however, I've given myself a pardon from doing any more math problems. I'm a writer--I don't need math. Even if I am a math dummy--I've still voted this as up, interesting and useful--because it will be useful to many! I bet you are a genus. Good job explaining. Even I managed not to get completely lost. Good job, but I would recommend adding the word "total" before "surface area", as many problems ask for the "lateral surface area" that does not include the area of the two circles. I told you this before, I think your Math Made Easy series is brilliant. Congrats on Hub of the Day! Applecsmith - Thank you. Sometimes I think creativity is the best way to help understand math concepts. RTalloni - Thanks. I appreciate you taking the time to comment again! This is a very creative way to break down geometry. Congrats on being the hub of the day! Thank you everyone for the "congratulations." It makes me happy to know that this brought back memories for some people and others think that it will be useful for students. Congratulations...hub of the day, that s cool!! Clever use of materials to bring home this concept to kids. Some 'get it' right away; some do not. For those who do not this will be the way to begin. Some of the 'get it' kids may prefer learning this way as well. I will share this with my teacher friends!!! Thanks for sharing. What a great way to teach geometry - I love hands-on math lessons! I am bookmarking this one for my kids, too - granted, they're only 4 and 6 now, but this will definitely come in handy in a few years! It lets the grey stuff works overtime! Excellent job, very creative, that you actually wrote the nice piece of whole article beginning with a simple math formula. Actually on school days, geometry had been easiest subject for me because i also used similar kind of techniques to remember these kinds of formula. You remind me of those old days. Math students will love this article. When was the last time I came across this formula? Many thanks to you for bringing back all the memories, both good and bad. On top of that, congratulations for the hub of the day! ktrapp: Congratulaitons on hub of the day. This is truly a great hub... even I did well on the quiz! You are so kind StayPos. And I agree, there is a lot of noise and confusion in our world making it difficult to learn a range of topics. I have found with a lot of things, that the complex is usually made up of a series of simpler things - making it seemingly complex only at first glance. This hub is a great example of how using creativity helps us transform "complex" things into much simplier understanding! It's a desperately needed attribute for cutting through the noise and confusion in our world today! Bravo! Thanks Simone for the enthusiastic comment. I'm not sure my old geometry teacher during the early 80s would go-for this lesson style. He actually made us read a horrible book about a two-dimensional world. I think it was called Flatland - a horrible thing to do to high school kids, and no way to teach math! This is SO NEAT!! I should share this with my old geometry teacher- this would make for such a fantastic lesson! That's funny Sunshine, but it says "made easy." It still involves a little work. :)Thanks for taking a look and commenting. Hi ktrapp! Your title says easy...did I miss something? Haha! Numbers and I do not get along. Fantastic hub though! Thanks RTalloni - I think you may be the first person to comment that math hubs make you smile :) Thanks. Your funny blog8withJ - very far from genius, but I do like finding ways to explain math in understandable terms. Thanks for commenting. Oh, thanks homesteadbound. I do think I would have really enjoyed being a math teacher. I'm glad to know this little tutorial made solving the surface area of a cylinder look easy. That was my goal in writing it and hopefully it will one day help that random kid who is stuck on their math homework. Taking the paper off the can to explain the concept was ingenious. Are you sure you shouldn't be a math teacher. You make it look so easy. Great hub! Hey Arlene. I'm honored to have taken you down memory lane back to high school geometry. The good news is you passed and perhaps discovered your passion for writing. Ay, yi, yi, k! I could have used your help back in the early 70s when I got a D- in geometry. Thanks for the memories! That's when I discovered that English was more of my thang! Thanks everyone for your comments. They are very much appreciated. Like the others..you made this geo class easier than my Teacher Ktrap! great way to explain math. Wow, did I need you back in my days in school. This was made so simple to follow and I finally got it after 30 years with your hub. Thanks for sharing. Where were you in 72? Its cool that you could break it down like that. I like the can example. When I saw the title of this hub, I realized that I had completely forgotten everything from geometry class, and this reminded me again. Good work. Oh how clever, ktrapp! You explained this so well. Thank you! Thank you randomcreative. That's a nice compliment - especially coming from a teacher! Great resource for students and math teachers! Thank you Tina. I hope this helps your daughter, or at least helps make math more approachable for her. What a great way to explain math! 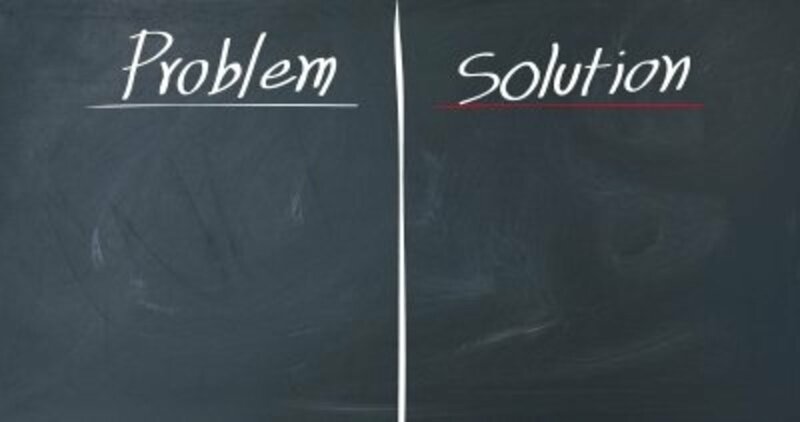 It makes such a difference to "see" the problem and also see that usual things at home can be used as help! I will show this hub to my daughter who thinks math is a little difficult! Voted up, useful! 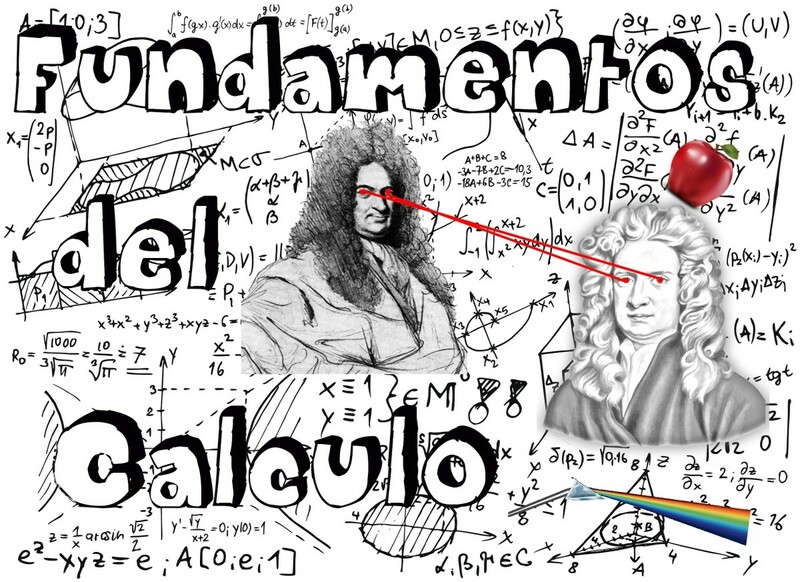 Billabongbob - It's not too often that most adults have to figure out the area of a cylinder, but for students it can be especially frustrating, especially when a teacher is rapidily writing formulas and numbers on the blackboard. I think kids would do better in math if they had less fear of the subject and could stop and think and picture what they are actually being asked to solve. Thanks for your feedback. Thank you Man from Modesto. I have never seen numbered pasta, but you got me thinking - spaghetti -Os are circles so I guess they'll do too. It's been a long time since I've had to work out the area of a cylinder, but this brought it all back. Brilliantly explained, in simple terms. Very nicely done! Would have been cute to use Heinz numberetti (number pasta in a cylinder).